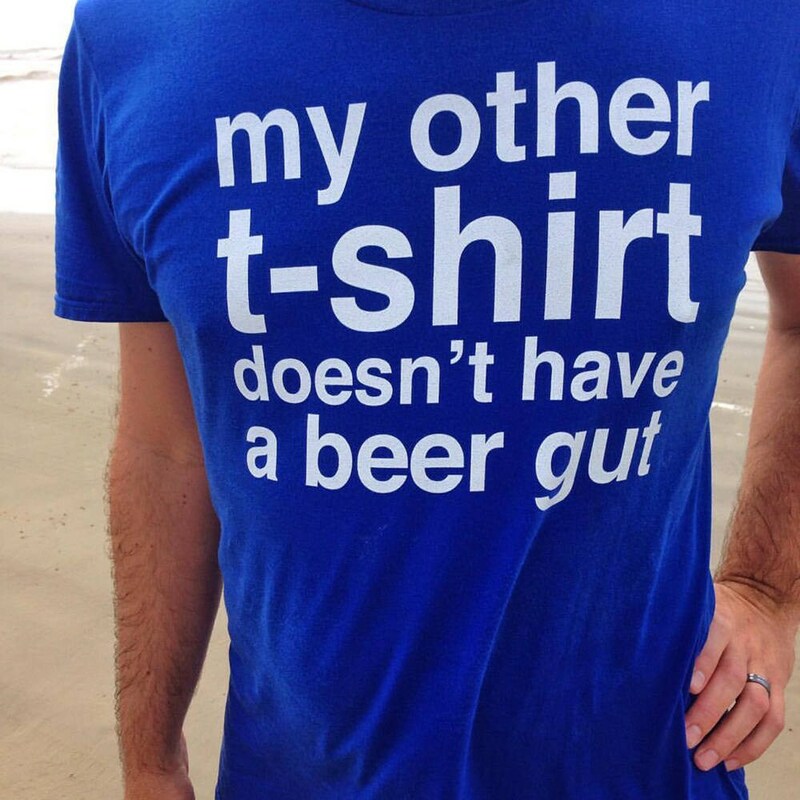 A funny beer gut t-shirt for dad to add to his collection. Who doesn't want one of these cool tees as a gift? He deserves a funny beer shirt! This is the best unique gift for dad on his birthday or for Father's Day, hands down. This t-shirt will make him laugh and everyone else that sees it. He will be the life of the party. Get one for you, a friend, a neighbor or your dad. Everyone enjoys a cool one of a kind gift. Now go hug your dad!